Sleigh type "Saint Petersburg". 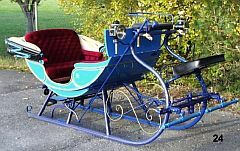 Original sleigh with elegant wooden runners and forged steel parts. Comfortable seat shell with elaborated upholstery. Driver's seat frame can completely be taken off; leather folding hood can be taken off; snow scratching brake acting on spindle brake, bars also to take off. 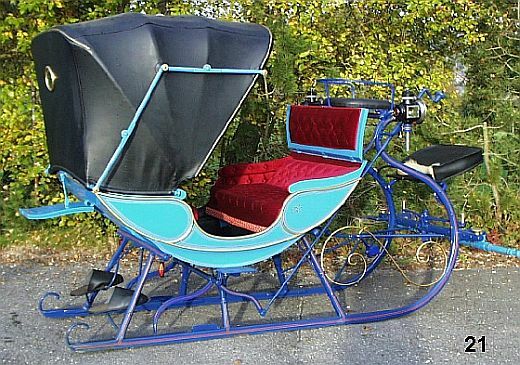 Sleigh in excellent condition including lamps.